Princess Pulverizer may not be a knight yet, but she won't let that stop her from saving the day! There's trouble in the kingdom of Salamistonia! Ever since an evil wizard kidnapped Lester the jester, laughter and smiles have disappeared. Now Princess Pulverizer has the perfect opportunity to complete the next good deed on her Quest of Kindness: a rescue mission! 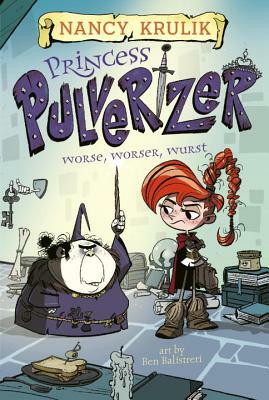 With her friends Lucas and Dribble by her side, can Princess Pulverizer defeat the wizard, free Lester, and bring fun back to Salamistonia?